Thank you to Jimmy Doan for sharing these Cedar Waxwing photos, taken in December 2018 in the Urban Forest. 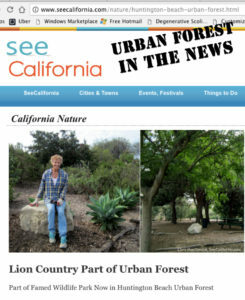 The Urban Forest is the aggregate of all community vegetation and green spaces that provide benefits vital to enriching quality of life for visitors and residents – including those pictured here and throughout this website. 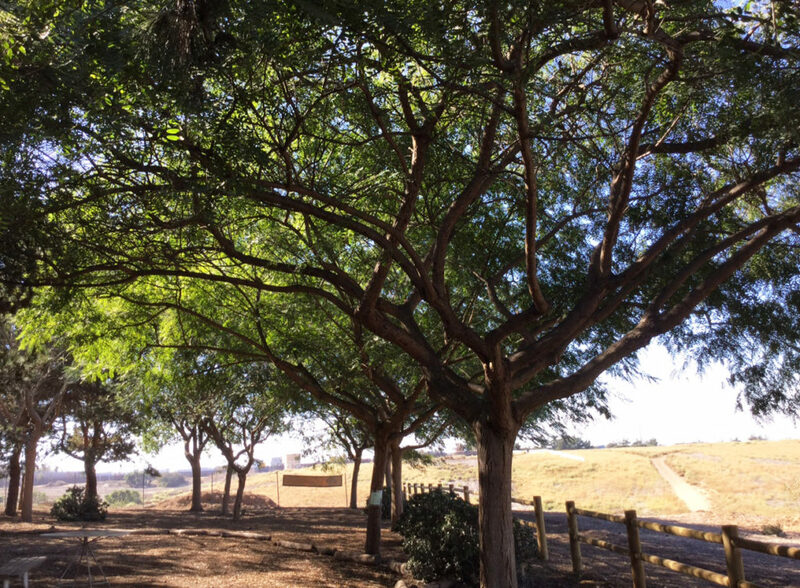 To improve the Urban Forest for the community and its visitors to enjoy; partner with the City of Huntington Beach to enhance the beauty and safety of our parks; to educate the public about the importance of urban forests; and try to connect a young person to every tree we plant. 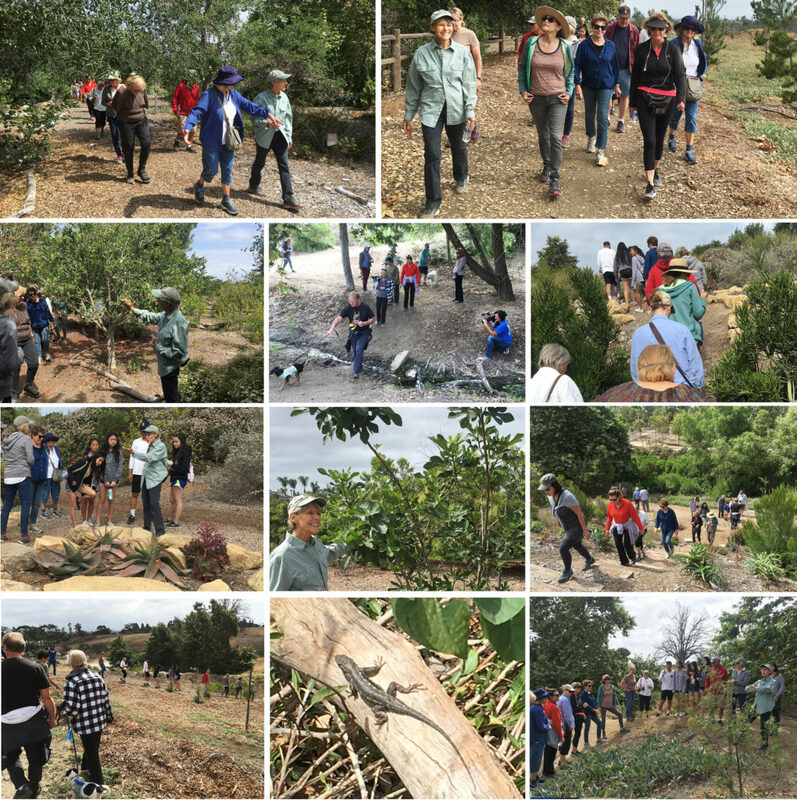 Saturday morning walkabout – Guests were given a free guided tour of the Huntington Beach Urban Forest on June 16, 2018. Along the way, volunteer tour leader Cheryl Johnson provided fun facts about the flora, fauna, history of and future plans for this spectacular site, located just off Ellis Avenue and Goldenwest Street. A camera crew filmed the event to air on HBTV3 – Click Here to see it! 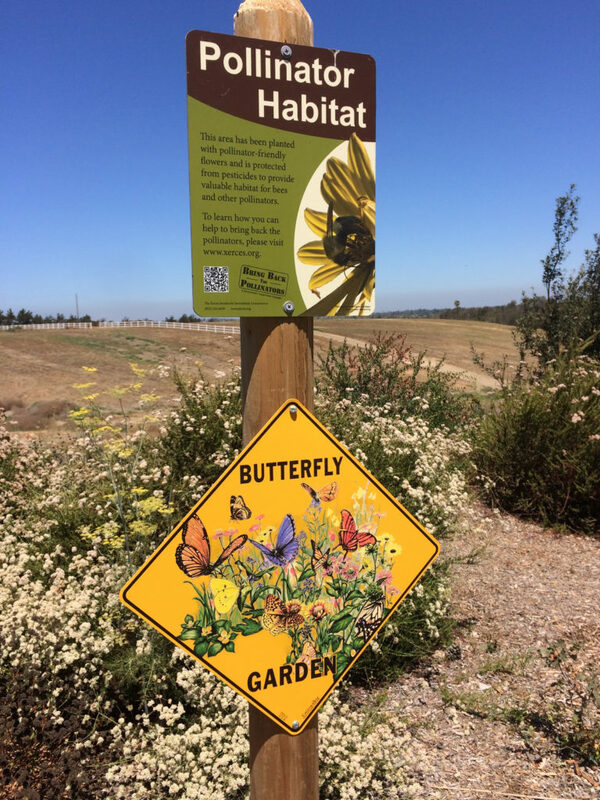 Have you been to the HB Urban Forest lately? The Urban Forest’s first tree was planted in 2001. 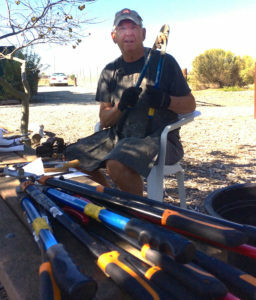 Since then, dedicated volunteers have planted more than 7,000 California-native and -friendly trees and plants! Check out beautiful new boulders for resting and way-finding along the now-developing Shipley to Shore Nature Trail. The existing canopy is continually expanding and changing with the seasons. Existing trees include pine, sycamore and oak forests. Other varieties flourishing include Tipuana, desert willow, California Pepper Trees and more. 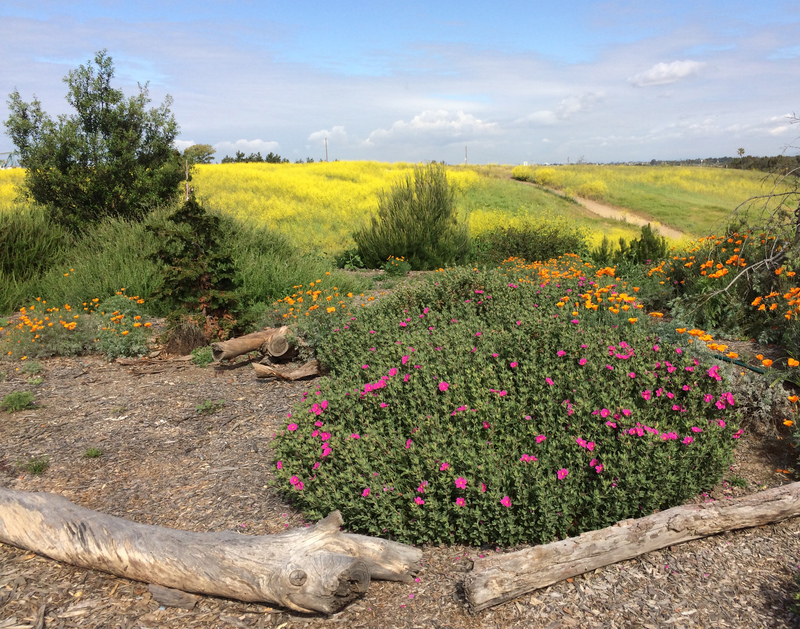 Additionally, the forest is complemented with California native plants, intermingled with Mediterranean drought-resistant plants. Added summer 2016, courtesy of the Boy Scouts. Above: Spring Urban Forest flora. Below: Winter Urban Forest resident. The public is invited to meander through mulched walking trails to enjoy this beautiful area. Leashed dogs are welcome. 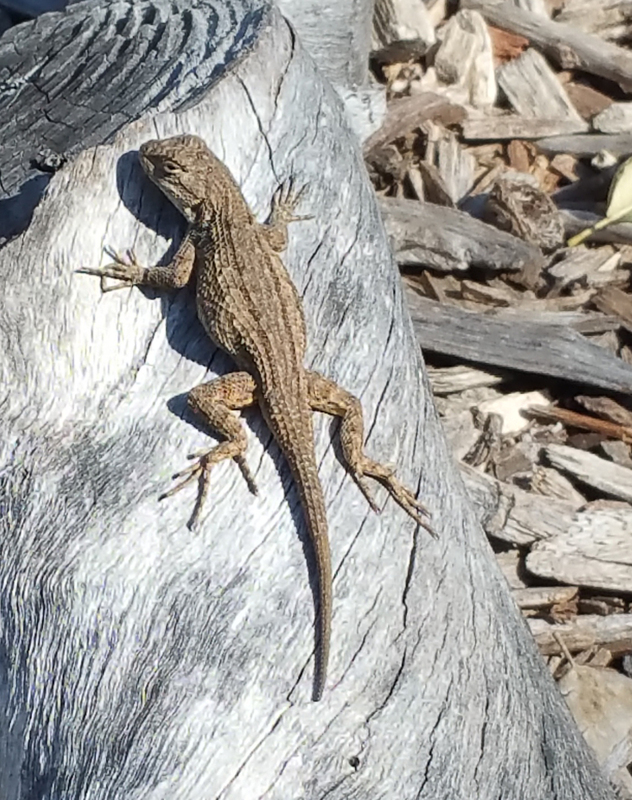 While walking through the forest, expect to find lizards, song birds, hawks, rabbits, and coyotes, such as the ones shown above recently appearing here. To see more residents of the UF, click here. The forest is kept in pristine condition by weekly volunteers who plant, weed, perform tree care and more. Volunteers work on Thursday and Saturday mornings. Student volunteers are also encouraged to participate. We ask visitors to take all trash with them out of the Urban Forest so that it remains unspoiled. John, Urban Forest tool sharpener and all-around handyman. 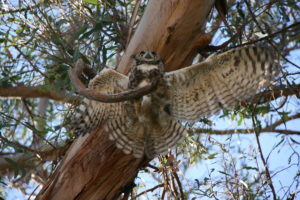 Owls are frequent visitors to the UF. The Urban Forest is found on the southwest side of Huntington Beach Central Park. Enter off Ellis Avenue, between Goldenwest and Edwards streets. As part of Huntington Beach Central Park, the UF is free and open to the public from 5 a.m. to 10 p.m.
To read this fall 2016 article, click here. Find out more about Urban Forest life by clicking here.